VR headsets have been at the forefront of cutting-edge technology for the better part of a decade, but they are costly — the Oculus Rift will set you back $399, the HTC Vive $499, and PlayStation VR $259, to name a few. 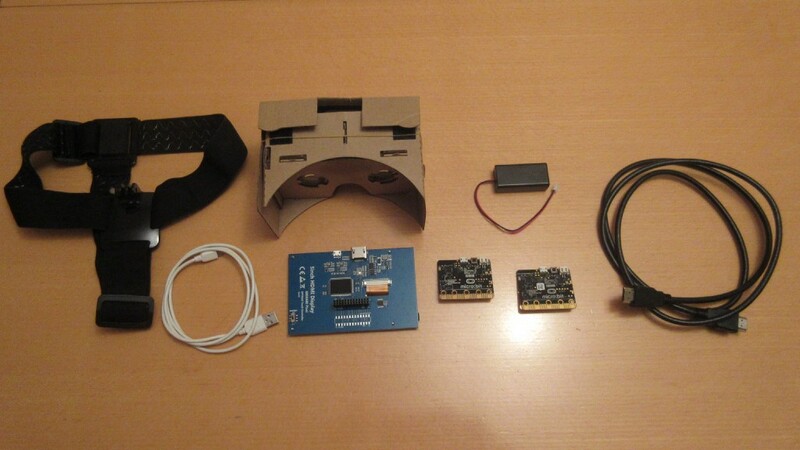 There are ‘alternatives’ to those pricey HMDs, such as the DIY route, which is what Colin Ord did with his 3D Virtual Reality headgear that sports the all familiar cardboard housing similar to Google Cardboard. The secret behind Colin’s HMD is a pair of BBC Micro:bit boards, which come packed with an accelerometer and onboard compass — two critical components needed for situational tracking. One of the microcontrollers is tasked for 3D head orientation (heading, pitch, and bank), while the other acts as a 2D VR hand-controller that’s used to manipulate objects in a virtual environment. Movement inside VR is done using keyboard inputs; in Colin’s case the cursor keys, while flying is assigned to the A and Z keys. As far as hardware goes, the HMD is pretty simple — beyond the two Micro:bits, Colin used an XPT2046 IL 5-inch resistive touchscreen LCD display, Google Cardboard with lenses, an AA battery box for power, and a head strap to hold everything in place. On the software side, Colin used Mu (Python) to program the microcontrollers, Visual Basic 6 to capture the serial data, and Blitz3D to create VR scenes. All total, it costs roughly $70 to build his HMD, which is quite cheaper than those mentioned earlier, and while it’s not as advanced as the others, it still puts on a good show. 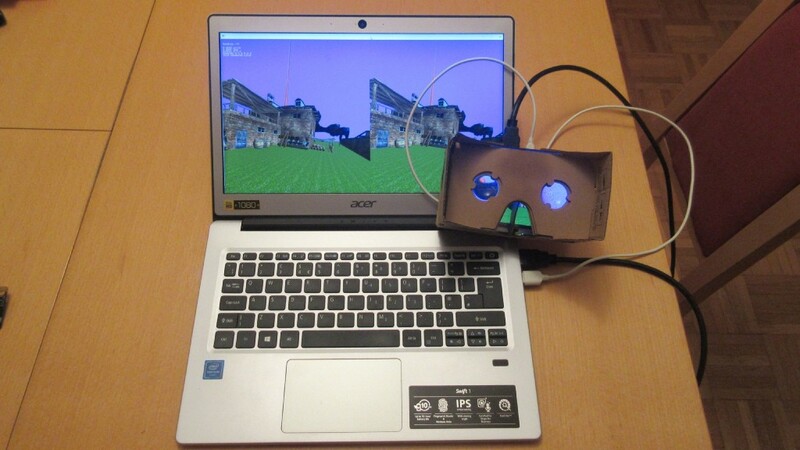 DIY Low-Cost VR Headset Uses a Pair of Micro:bits for Tracking was originally published in Hackster Blog on Medium, where people are continuing the conversation by highlighting and responding to this story.